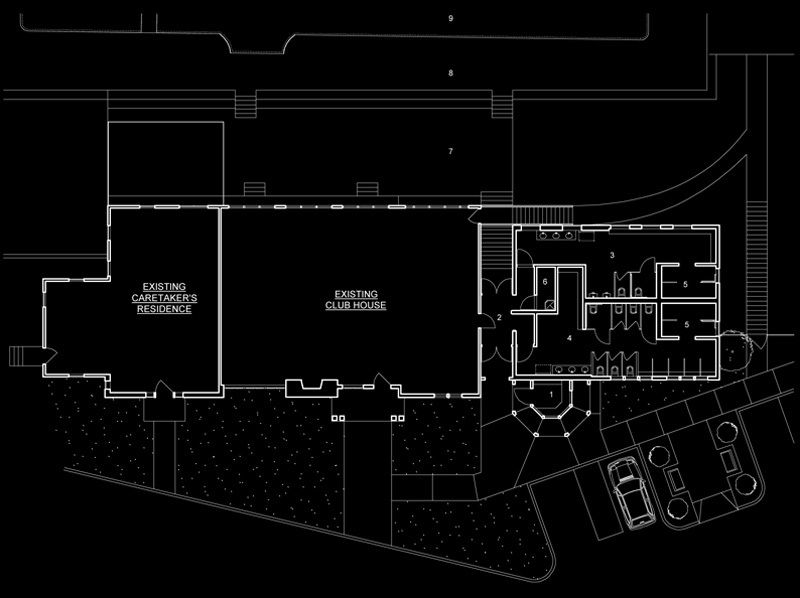 The swim club is part of a larger recreation center comprised of 3 separate adjoined structures as shown in the plans below. 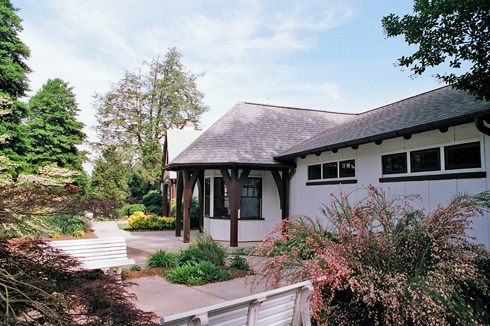 The Caretakers residence and Club House were built together in the 1920's. The Pool House was added in the 1950's as seen in the Before picture directly below. Our project included a full gut-renovation of the Pool House structure. 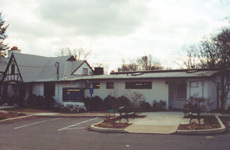 The design recalls the original "single community building" concept. Roof forms, details and materials blend harmoniously. The remade facility is fully accessible. Construction downtime was held to the non-swim season. The early project decision to renovate, and reuse existing exterior walls, reduced the critical path schedule. Construction was completed on time and on budget.